The Christmas season is the most magical time of year. 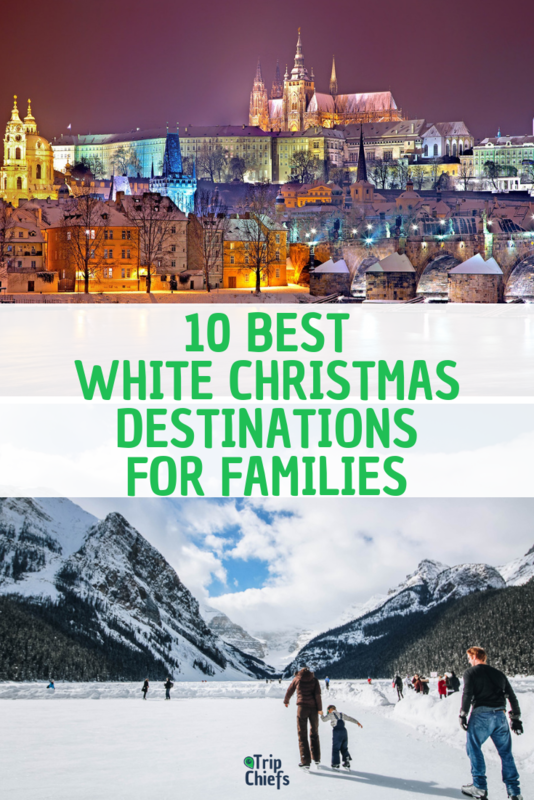 Make it an unforgettable by spending a white Christmas with the family. 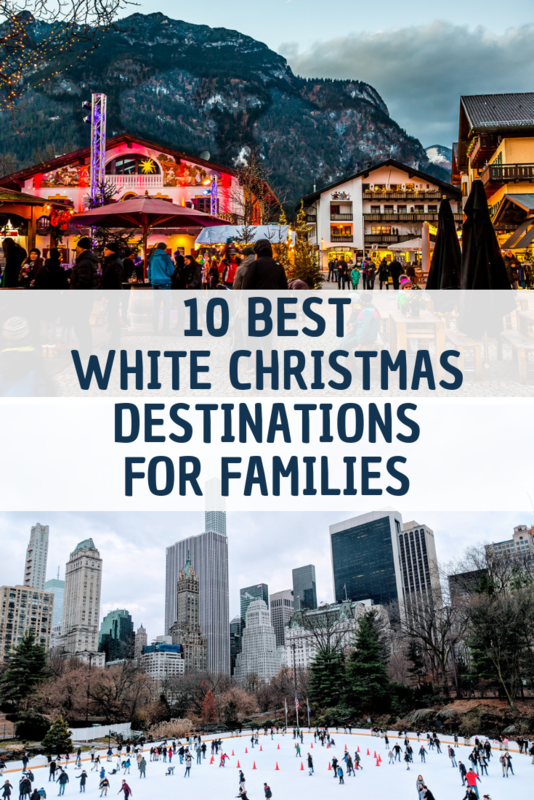 Here are the 10 best white Christmas destinations to visit with your family to enjoy a very merry Christmas in the snow. 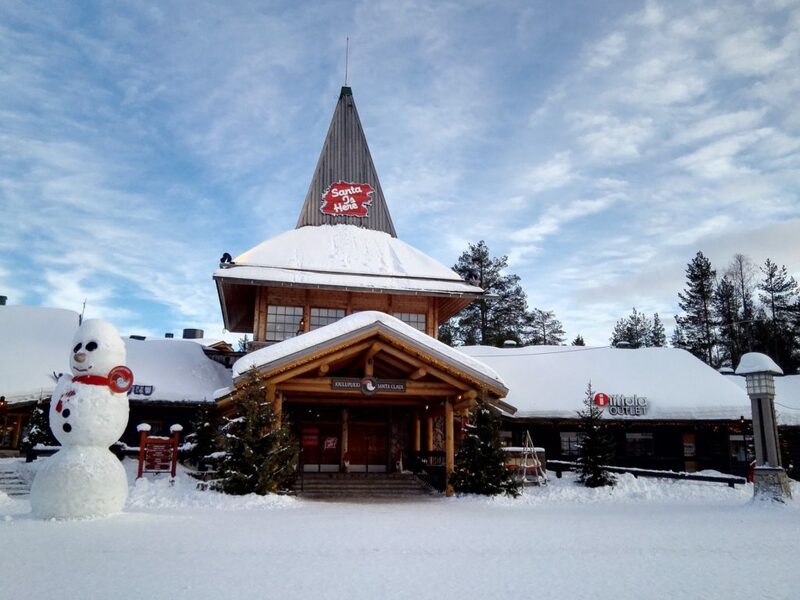 If your family wants to experience the atmosphere of a traditional Christmas in Europe and visit “the real” Santa Claus, then your destination should be Rovaniemi, a town near the Arctic Circle. This is the official hometown of Santa Claus. The holiday season in Rovaniemi is filled with fun winter activities for the family. At the Santa Claus Village, you will get to meet Santa Claus and cross the magical Arctic Circle. There is also the Arctic Circle Husky Park, where the whole family gets to play with genuine Siberian Huskies and their puppies and take short sleigh rides. Another fun place for the kids in Rovaniemi is the Snowman Ice World, where everything is built out of snow and ice. You can also experience the magical Northern Lights with a good chance of seeing the dancing arcs in the sky from late August to early April; however, their appearance is never guaranteed. Other winter activities in Rovaniemi include reindeer sleigh rides, farm visits, and going to Ranua Zoo, where you can see the only polar bears living in Finland, as well as other arctic and northern animal species. Yes, I never realised that polar bears don’t live in Finland! Overall, there’s no place like Rovaniemi to experience some Christmas magic. With the awesome mountain views of the Alps, the famous ski resort town of Garmisch-Partenkirchen is one of the best places to spend Christmas in Europe. 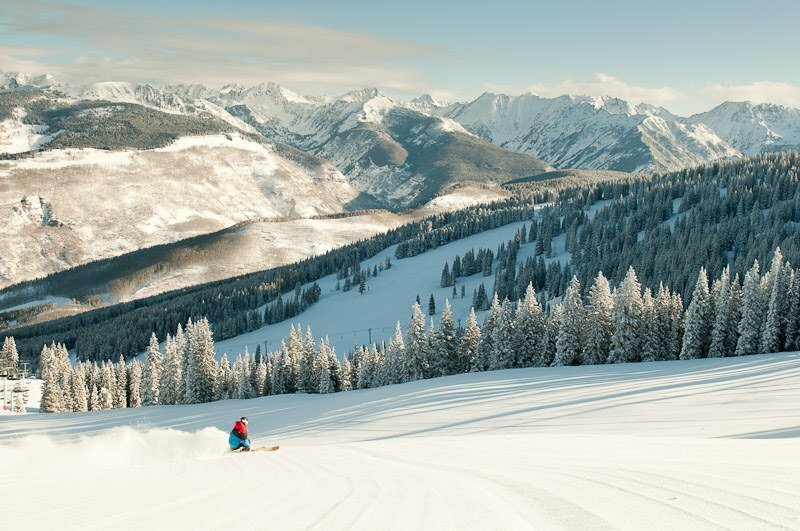 Snow-covered mountains and beautiful winter scenery will make your white Christmas dreams come true. Don’t miss the cosy and beautiful Christkindlesmarkt (literally: Baby Jesus Market) in the village. It is a one-of-a-kind event for the whole family that brings the Christmas spirit alive. 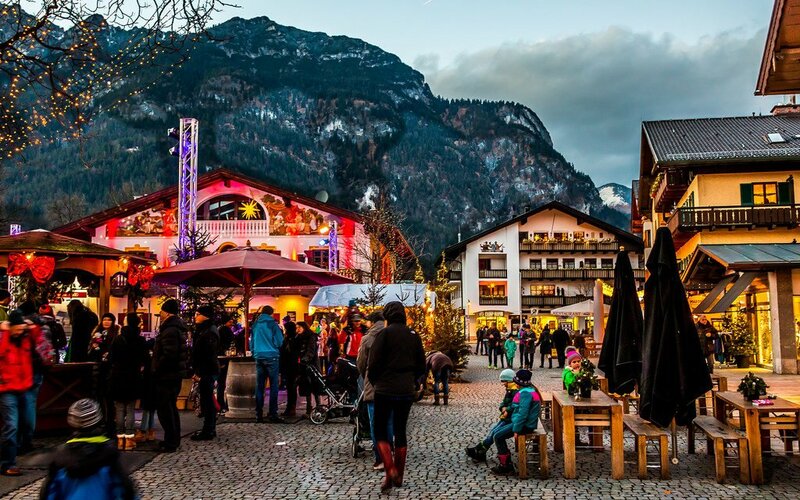 This is where you can stroll through the pedestrian zones and enjoy tasty local treats, such as chocolate fondue, marmalade, crepes, and roasted chestnuts, as you listen to sounds of Alpine music and admire handicrafts and artworks. You can also relax on a horse-drawn sleigh ride along the fabulous winter scenery! 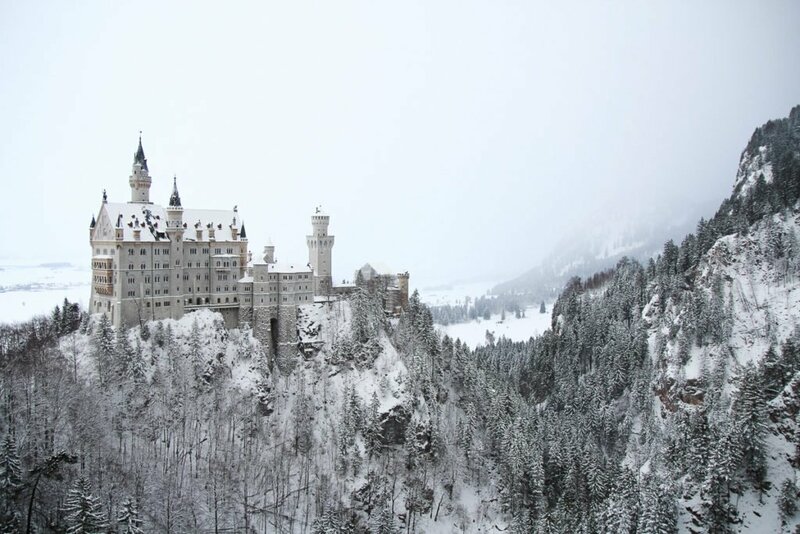 No white Christmas in Europe would be complete without a visit to the magical Neuschwanstein Castle, one of Germany’s most beautiful castles. Located one hour west of Garmisch-Partenkirchen, you can easily do it in a day trip but try to get there when it opens to avoid the crowds. There are plenty of other day trips you can take while you’re here including to Zugspitze for a cable car ride up Germany’s highest mountain, and a trip to the beautiful Innsbruck in Austria. 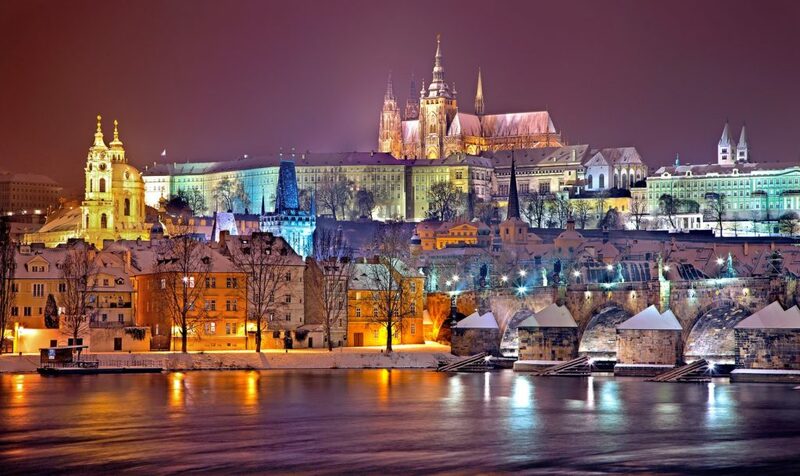 Prague is a fantastic holiday destination for a white Christmas in Europe, and the whole family will surely feel the festivity of the season when visiting the Prague Christmas Markets. There you can combine present buying with some travel. The Christmas markets have local handicrafts, ornaments, dolls dressed in traditional costume, and many more. There are street stalls selling all kinds of Christmasy snacks. In winter, you can get cosy and enjoy the beautiful sight of the city covered in a thick blanket of snow, complete with a steaming mug of hot chocolate. Also, during the Christmas season the whole family can visit the Prague Zoo, which is voted fourth best zoo in the world. Kids will surely enjoy the zoo’s special Christmas program. Other winter activities in the Prague city centre include ice-skating as well as skiing in nearby resorts. You will be filled with the merriment of the holidays as you glide down the mountain! Just make sure you are dressed warmly because it is cold. St Petersburg in Russia is only 800km (500mi) from the Arctic Circle and truly magical during Christmas time. 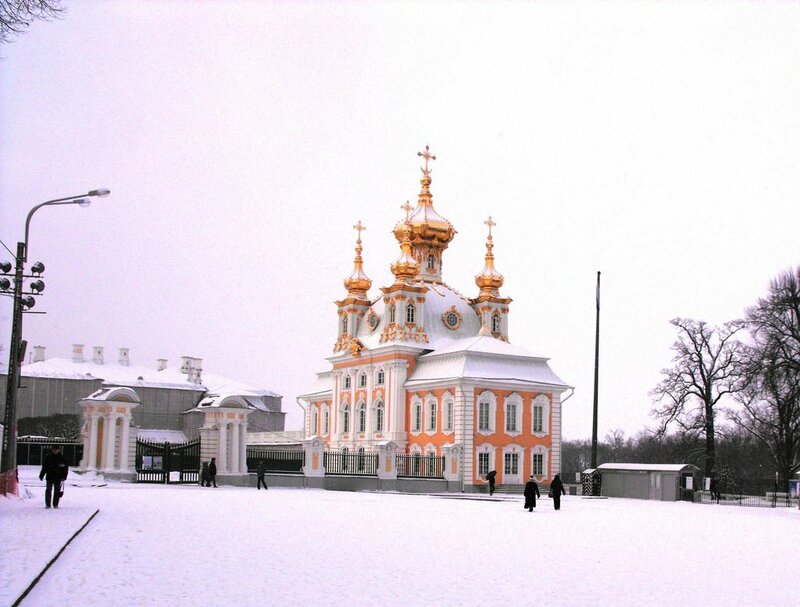 To have a fantastic holiday in St. Petersburg, you have to experience a traditional Russian Christmas. Note that Russians celebrate Christmas on January 7, not on December 25 because they follow the Julian calendar. Highlights in St. Petersburg during the holidays include their Christmas markets, ice-skating (a winter wonderland wouldn’t be complete without ice skating), visiting the reindeer farm, and the international winter festival (showcasing an array of culture drawn from around the world and the regions of Russia). Just make sure to pack lots of warm clothing! New York City becomes a winter wonderland during the holidays, and is particularly festive at Christmas, making it an ideal place for a family vacation. 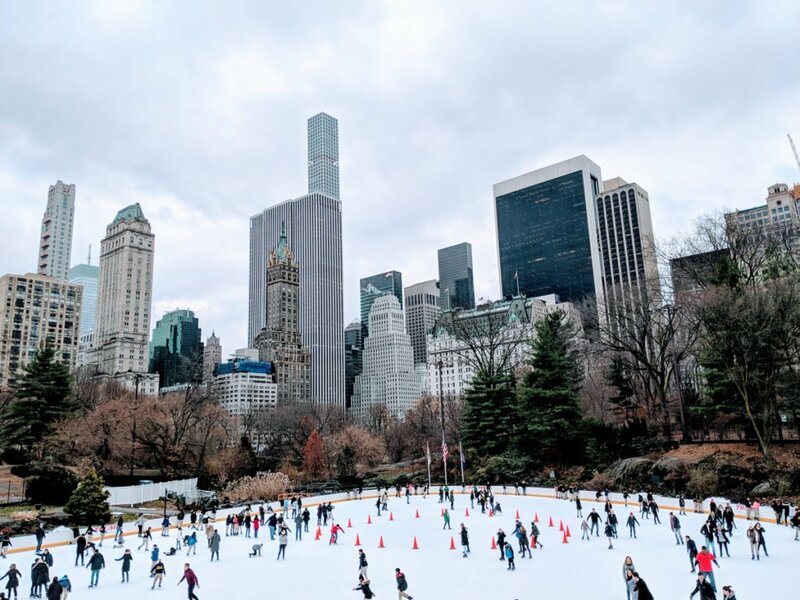 One of the best places to visit for Christmas in the USA, there are many things to do during the holiday season in NYC, and here are some of them. First is the holiday lights tour, where you hop aboard a bus for a tour to view the Christmas lights, festive decorations, and trees around the city. The twinkling lights are truly a treat for your eyes. You can also check out the holiday windows and Santaland, where you meet Santa and his elves. They also have lots of free entertainment for the kids throughout New York City. Another thing that should not be missed is the magnificent Christmas tree located in the Rockerfeller Center, which has a live broadcast and grand concert to celebrate its lighting. Skate Rockerfeller Center also has a skate rink with the iconic golden statue of Prometheus overhead, which can be enjoyed by kids and grownups alike. The Radio City Christmas Spectacular, which is an iconic NYC musical holiday stage show celebrated each year, is also a family-friendly way to make time for joy this holiday season in New York. You surely don’t have to head to the mountains in order to get that feeling of Christmas. 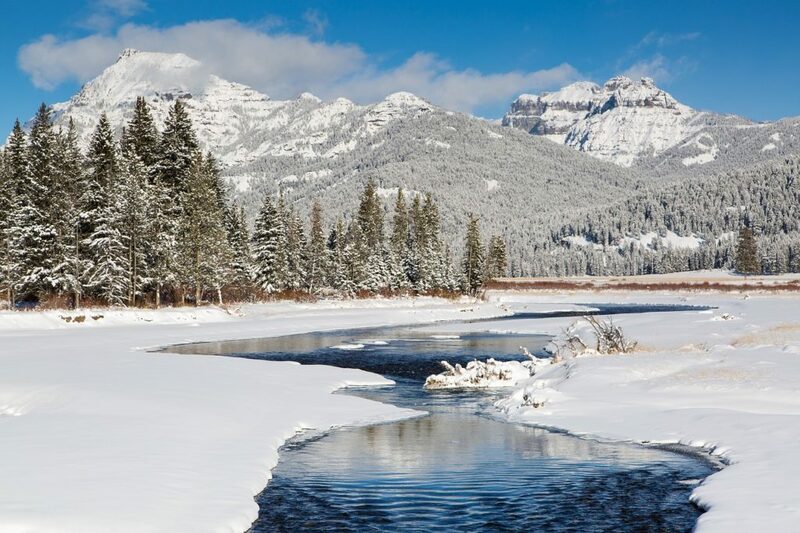 Yellowstone National Park is also a perfect destination to celebrate a white Christmas in the USA with the family because it has a 100 percent chance of seeing at least three inches of snow on Christmas Day. It has breathtaking scenery and winter landscape available that will surely take away all the holiday stress. It is a good place to bond with family and loved ones and appreciate the splendour of nature around you as you do fun outdoor family activities such as brisk hiking, snowshoeing, or skiing. There is also an abundance of wildlife in the area, and once in a while, larger mammals in the frosty grounds make appearances, making Yellowstone even more spectacular in wintertime. In addition to that, there are geysers, hot springs, and other thermal features in Yellowstone, which make your holiday experience there unique. Spending the holidays in Yellowstone is indeed like living your white Christmas dream. There’s something magical about Christmas time in Vail, and spending the winter holidays there with the family is truly worthwhile. Here are our some of our favourite reasons why. In Vail you can enjoy winter sleigh rides drawn by horses to see the sights. You can also make family memories ice-skating in Vail, with indoor and outdoor options. Visit Vail Village, which comes alive during the holidays with an incredible choice of world-class restaurants, shops, boutiques, and cafes that are good for the whole family. With so much snow in the place, you can also opt to go skiing and snowboarding. It is a perfect setting to celebrate the holidays with your family. 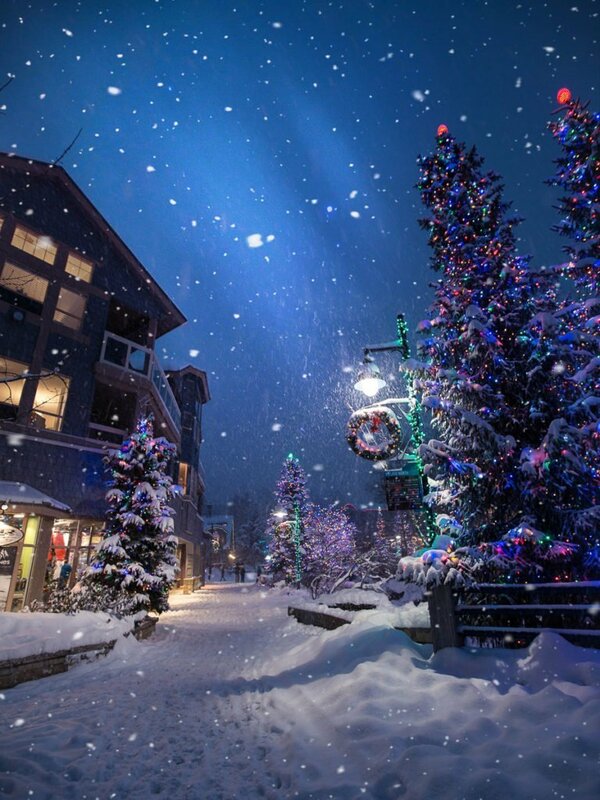 You’ll never have to dream of a white Christmas in Whistler, Canada. If you are planning on a snow-filled Christmas in Whistler, here are the things you can expect. Ski and snowboard on the Whistler Blackcomb mountain, special events to get into the spirit of the season (many of them are free), and fun family activities like tubing, ice skating, and snowmobiling. The Whistler Fire & Ice Show is an outdoor free show in Whistler Village not to be missed. It is one of the best shows in town, with professional skiers and riders doing aerial acrobatic moves through a blazing ring of fire, along with fire spinners, fireworks, and DJs. Also, Whistler Olympic Plaza has a free outdoor ice skating rink, which can bring the family together without costing anything at all. Surely, there are more than enough things happening in Whistler to entertain people young and old for a very merry white Christmas. If your family prefers to have a quieter snowy holiday, we suggest that you spend your Christmas vacation in the mountains. 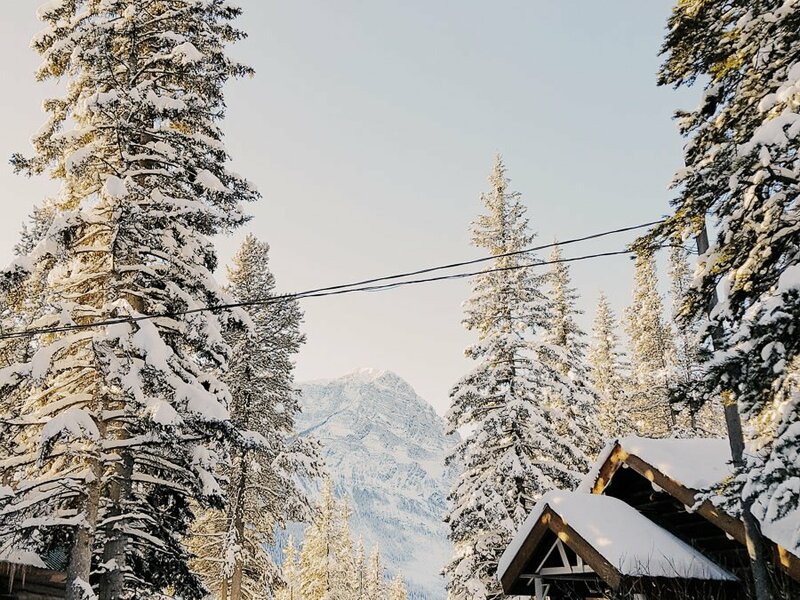 The Banff National Park is where you can gather up the family and cosy up in a cabin as you watch snow pile high on the trees and Christmas lights brighten the town, transforming it into a Christmas village. Some of these cabin-style accommodations include Storm Mountain Lodge, Baker Creek and Castle Mountain Chalets. They have exciting family activities as well to fill your days. There are amazing holiday shows that happen in Banff and Lake Louise in winter, incredible winter tours, ice walks, snowshoe tours, and more. If your family loves to ski, Banff National Park offers a variety of terrains across three ski resorts in the area. 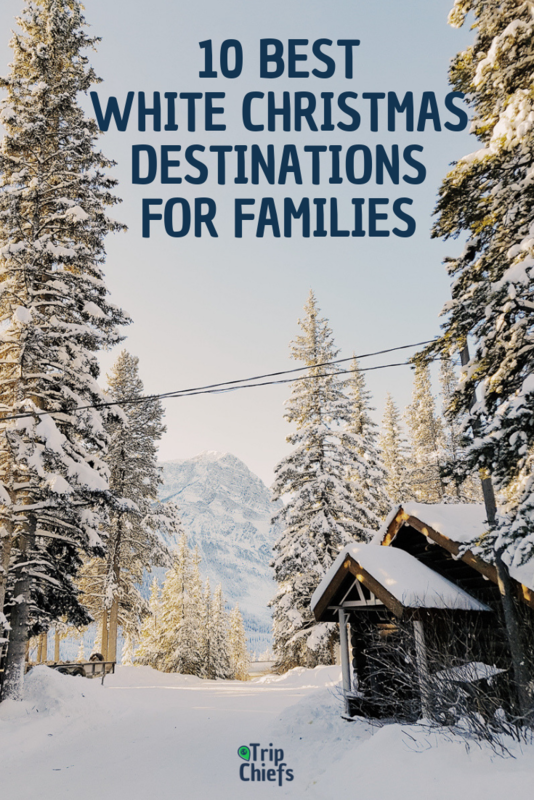 Every member of the family will surely enjoy these winter activities in the Canadian Rockies. If you want to go for some holiday shopping, there is the Banff Christmas Market, with various shops that sell art, jewellery, clothing and accessories, gifts. And don’t forget to include the Spirit of Christmas shop, which is packed to the brim with lovely Christmas decorations and ornaments. Moreover, there are horse-drawn sleigh rides along majestic Lake Louise to the frozen Lake Louise Falls, holiday wagon rides, photos with Santa, and Christmas story-telling by the Banff Public Library staff. 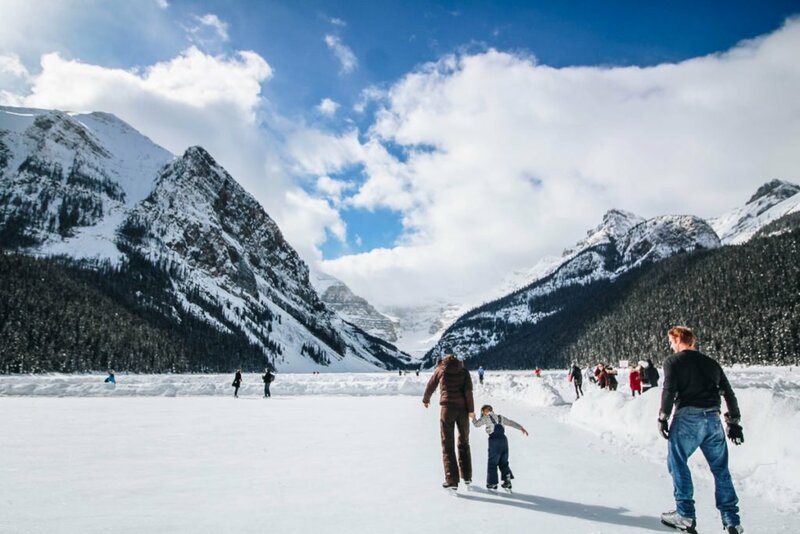 With the frozen lakes, towering mountains, snow-covered trees, and outdoor skating rink, the Banff National Park will certainly fill your hearts with the merriment and spirit of the holidays. 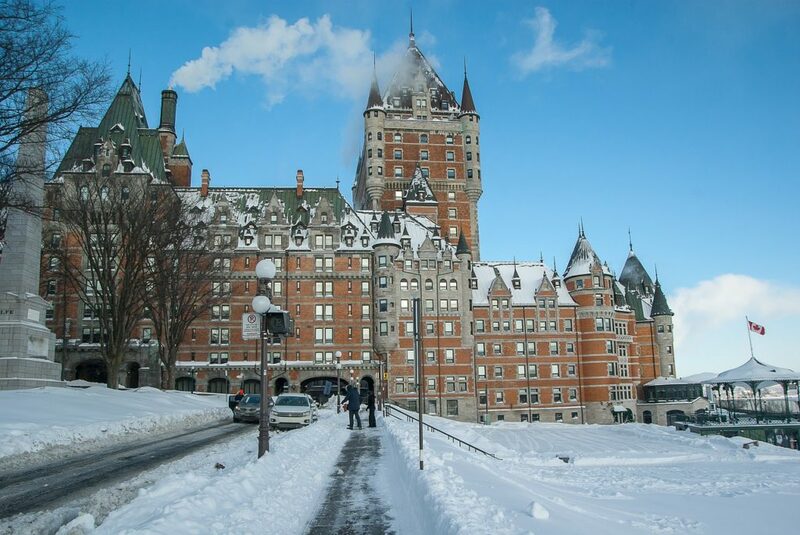 Quebec City, nicknamed Little Europe, is a winter wonderland during Christmas time. It is without a doubt one of the perfect places for a beautiful white Christmas. One of the places you need to visit is the German-inspired Christmas market, a magical place that comes to life during the Christmas season. It has a unique and warm atmosphere with its Christmas trees galore, beautiful decorations, indoor and outdoor performances, and even a few Santa sightings, which would be a delight to the kids and adults alike. They also have the Kindermarkt (an area for kids), which have lots of performances and activities. The castle-like Chateau Frontenac Hotel is also a sight to see during the Christmas season in Quebec with their Christmas tree displays. At the foot of the cliff below the Château Frontenac is the beautiful little street called Rue du Petit Champlain, where you can stroll along and bond with the family. If you are up for exhilarating outdoor activities, there are so many cool things to do for fun-seekers here. You can head a bit out of the city for a ski day with the kids. And nearby there is the Montmorency Falls, which freeze over in the winter. The family will surely have a wonderful white Christmas in Quebec City. No matter where in the world you’re having Christmas, have a merry and a safe one. If you want to make it easier to see your white Christmas dreams come true, join the Family Travel Made Easy Facebook group. 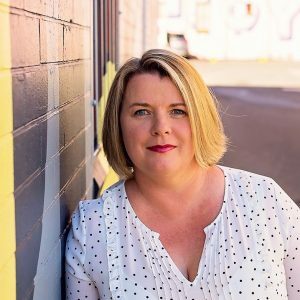 I’m the founder of Trip Chiefs, and mother to two energetic and amazing boys aged 8 and 10. I caught the travel bug at age 11 and went on to travel throughout 23 countries, before getting married. Well it’s certainly different travelling with kids, but since the boys’ arrival we’ve made a point of trying to live a life less ordinary by getting out of our comfort zone and travelling as much as we can, in-between holding down full-time jobs and school. It often wasn’t easy making travel happen, but we’ve come a long way, and now it’s an essential part of our family life.